West Baltimore raised, Nia Hampton is a 2013 i3 alumnae exploring the world through film-making, traveling, and writing. Her time spent in Brazil is chronicled in her blog glowingpain.com. 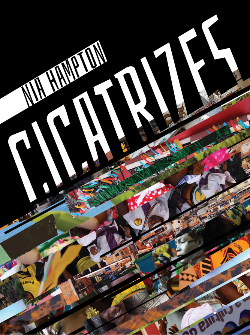 In 2015 she published her first book titled Cicatrizes (http://niahampton.com/ebooks). What would your tagline be for your professional or intellectual life and career? I’m from Baltimore City — West Baltimore specifically. I attended the University of Maryland, Baltimore County (UMBC). At UMBC I studied media studies and communications as well as Spanish and film studies. During college I studied abroad in Ecuador and most recently, I spent almost a year living in Brazil. What was your life like in Ecuador and Brazil? I studied abroad in Ecuador. 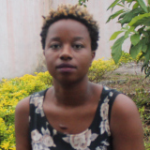 I lived in Brazil — meaning I had no safety net when I arrived. The connections I made came through the Nomadness Travel Tribe, not a study abroad organization. Those were very different things. My study abroad in Ecuador was an awesome experience however, kind of like a paid vacation compared to living in Brazil. Did you go directly from Ecuador to Brazil? No, I came home and graduated first. Then I finished the second half of i3 and taught at the Freedom School going to Brazil. How did you do with learning Portuguese? I grew up watching Brazilian films and TV series, but never formally studied. Once I lived in Brazil, I learned Portuguese through daily interactions and immersion. I spoke Spanish, which I learned while studying abroad in Ecuador, so that made picking it up easier. But honestly, being active and doing things with friends was the best way for me to pick it up. I lived there for almost a year, so I really had to speak the language if I wanted to survive. You put together a documentary about your experience in Brazil, which led to you being profiled by Al Jazzera America. How did the documentary come about? My friend Jihan Hifaz is a journalist and she wanted to tell a story that spoke to the similarities between Brazil and Baltimore. The documentary touches on police brutality in the city of Salvador, Bahia, Brazil. We actually shot everything during my last two weeks there. Before you went to i3 in 2013, what were you thinking about doing professionally or academically? Filmmaking. I was always about making movies. What was your experience with i3 like? I made some really great friends and was exposed to the world of research and other career paths. i3 taught me to take my ideas and knowledge seriously. It made me see myself as a professional. However, my fondest memoriy was when my cohort agreed to do a table read of a film script I was writing. That was a highlight for me. Tell us about your blog glowingpain.com: Why did you start it? I started glowingpain.com because I wanted to get paid for my writing. In Brazil I started selling my writing because I needed the money. Starting my own blog would be my way of getting paid for something I was already doing. It really helped me to organize my journey in Brazil. I consider it a personal bridge between home in Baltimore and Brazil. Right now my blog is down because I’m focusing on other writing gigs, but I plan to relaunch it in a major way when I go back to Brazil. One of your other creative projects, Cicatrizes, was published recently. What is it about? Cicatrizes is a collection of stories, essays, poems, spells and prayers written about why I left Baltimore and traveled to Brazil, and what happened while during my time abraod. It’s really my take on the world as I saw it … a first world, second class citizen in a “developing” nation realizing that a lot of these terms are a result of colonialism and serve to keep people divided. Are there any upcoming projects you’re particularly excited about? I just started freelance producing for The Real News Network. I’m also working on a webseries about the prison industrial complex. I spend a lot of time researching subjects and potential guests and formulating relevant questions. I’m active in the current movement to make the funded Baltimore art scene more inclusive of native born and black residents of Baltimore. I’m also pretty passionate about connecting the african diaspora. I also dance. I wish I could do it more — I’m trying to find my dance community in Baltimore right now. I had it in Brazil and I’m looking forward to getting back into it.